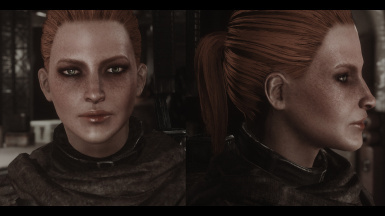 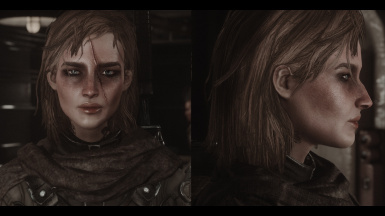 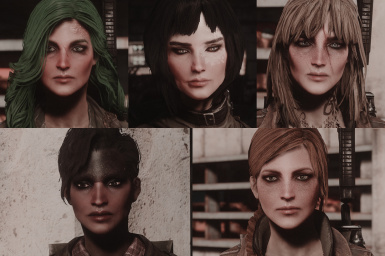 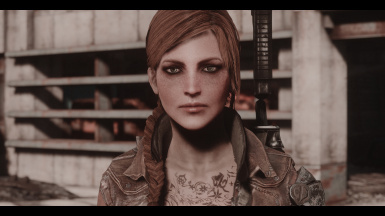 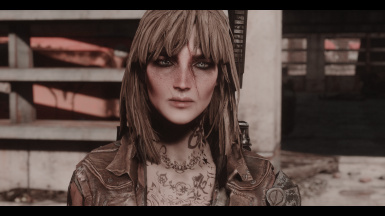 This is a small collection of presets I've made for all my female protagonists of all Fallout games, just for fun. 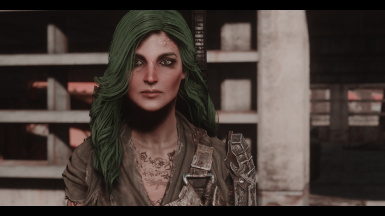 Thought it would be interesting to share. 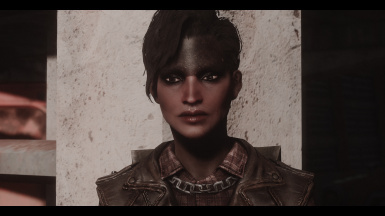 It also includes the latest iteration of my Fallout 4 character which I am using on all my screenshots. 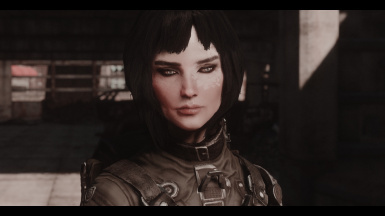 Quite a few people liked her so I'm including her here. 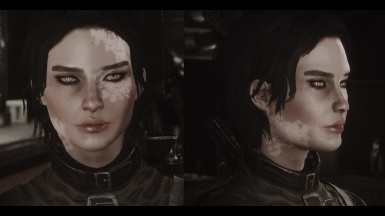 However, she will look a bit different since she uses my custom textures. 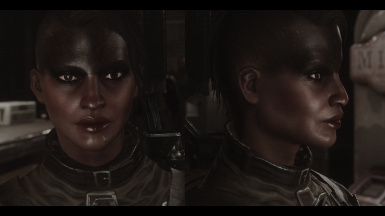 The girls use vanilla hair and textures (for ease of use), I have also included screens with Valkyr textures for reference. 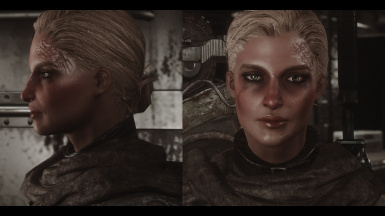 Eva's hair on the third screenshot can be found HERE.